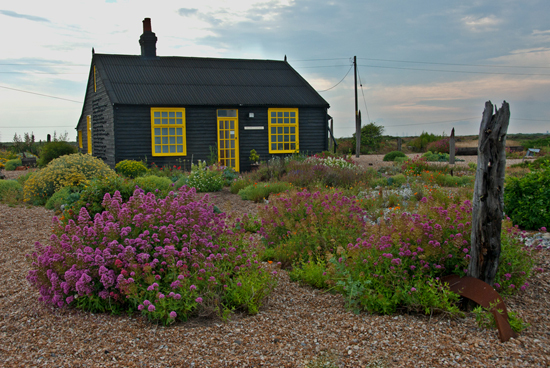 Derek Jarman the artist and film maker created a shingle garden in a remote corner of Kent. He collected old rubbish, pebbles, and drift wood from the beach and by selecting tough local plants that could withstand the elements he succeeded in establishing a garden in a most inhospitable desolate remote part of Dungeness. Prospect Cottage was his final home where he devoted his private life to the creation of this remarkable garden.